The Head in The Crowd are Nottingham and the UK's leading designers of a range of beautiful handmade hats and fascinators. Our hats can be bespoke made to your requirements for that special occasion, whether it be your daughters wedding (mother of the bride hats) or an extravagant fascinator to stand out at race day events. For more information on our bespoke millinery, call or visit website today! 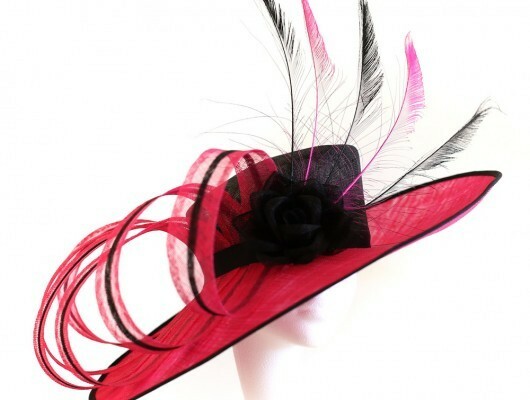 Fuschia and black wide brimmed hat for Ladies Race Days. The Head in The Crowd.